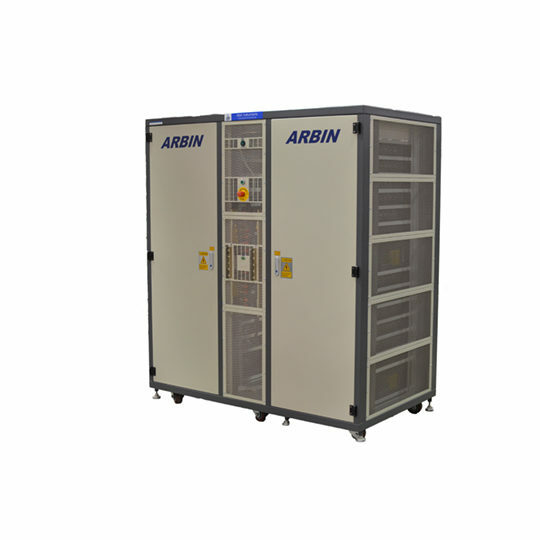 Arbin’s EVTS series is designed for testing high power battery packs and modules. Today’s applications like electric vehicles and military technologies demand high-reliability and safe testing environments, so the dependability, accuracy, and safety of these systems are core standards. The regenerative power circuitry within the system allows power to be sent back to the grid, providing a more economical testing solution. A full range of customizable options allow users to create a complete testing package that ideally suits their needs. 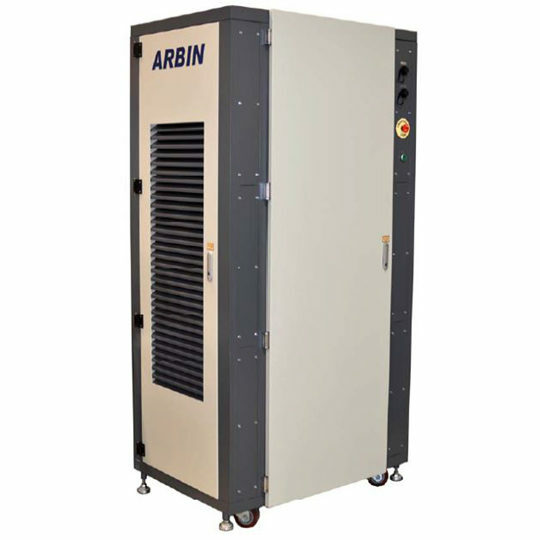 Arbin’s latest regenerative power board circuit design allows for testing of batteries, packs, and modules up to 600V and 250kW in a single chassis. With a 10mS rise time, Arbin’s EVTS allows for precise testing while simulating real-life drive cycles on your battery pack. 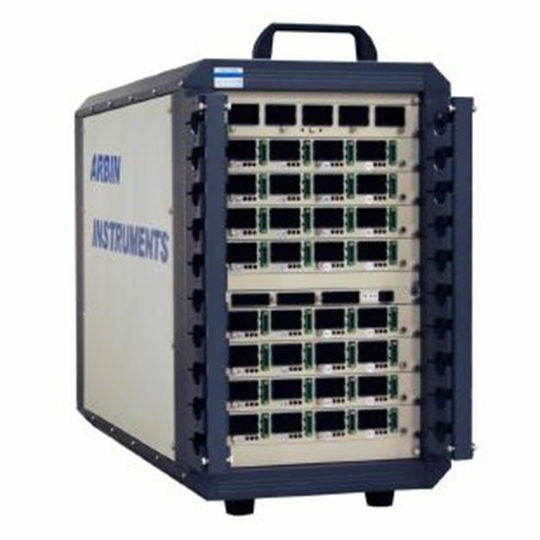 With a dedicated microcontroller per channel, the test station can handle 100mS per point during simulation control with data logging as fast as 100mS to precisely record how the device is reacting to the test protocol. 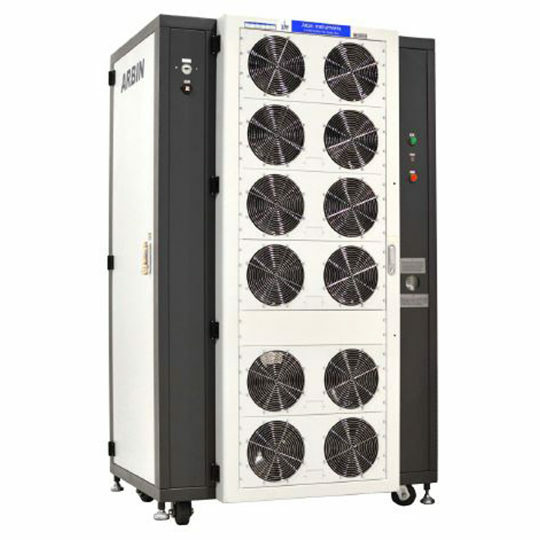 Uninterruptible Power Supply provided within the test station for a controlled start-up and shut-down sequence during normal operation. This UPS ensures that no damage will be incurred to the machine in case of power outages. 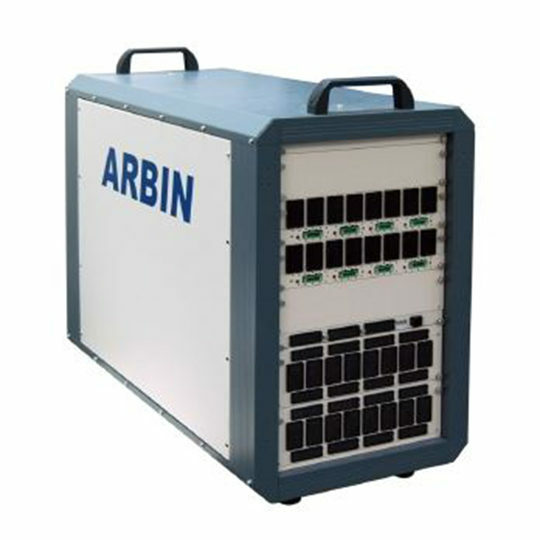 Arbin can provide an optional auxiliary chassis to house separate auxiliary channels. 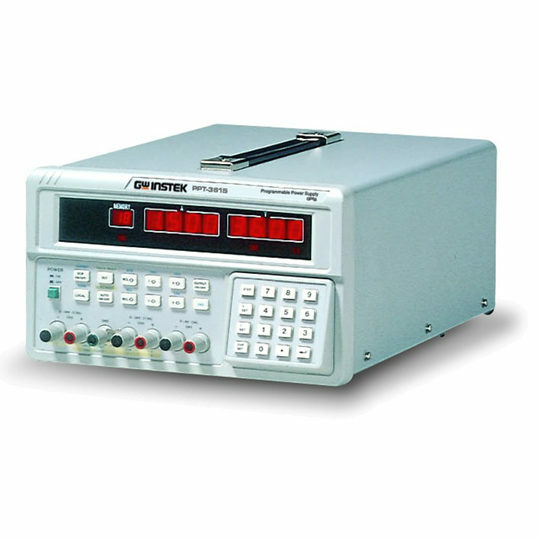 This provides additional data collection and safety monitoring for Secondary Voltage Measurements, Temperature Measurements, and Digital Input/Output, and Temperature Chamber Control. EVTS is capable of advanced charge and discharge regimes using a library of unique control types. One of the most popular features of the EVTS is the simulation control type which allows the system to charge or discharge the pack in the lab using a dynamic drive profile. Simulation control allows users to easily program advanced test profiles such as Federal Urban Drive Schedule (FUDS) or Dynamic Stress Tests (DST) without writing complex test protocols/schedules.